If you wish to seek assistance or need some questions answered, feel free to call our sales team on 1300 884 839 (and press 1) or shoot them an email at sales@crucial.com.au. 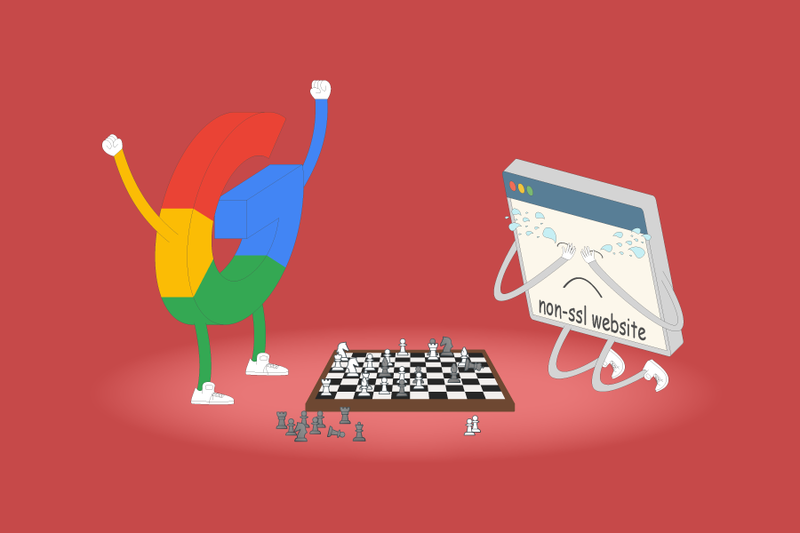 As of 24 October 2017, Google released Chrome 62 which aims to further take the fight to websites that are still running without an SSL certificate, and are therefore insecure. We highly encourage all e-commerce sites to purchase an SSL certificate for maximum protection and enhanced customer trust. Mixed content means you have an SSL certificate installed and enabled, but something on your web page is being loaded insecurely via an http link. This could be anything from an image within your code which is being called to using its old http link, rather than its new https link. It could also be a plugin you are using to insert some other feature on your page. Why No Padlock? is a handy tool to help you determine if you have any mixed content, and what that mixed content specifically is. Once you’ve found the culprit(s), if any, updating the link(s) to use https should solve the issue. We’d recommend consulting your web developer if you are unsure how to tackle any of the above, as they will be able to assist you in determining and resolving any mixed content errors. First off, you’ll need to decide what SSL certificate best suits your needs. Click here for a selection to determine which SSL certificate is right for your website. Alternatively, you can give our sales team a call anytime on 1300 884 839 (and press 1) or shoot them an email at sales@crucial.com.au to have us assist you in choosing the right option, or answering any other questions you may have! How do I install an SSL certificate on my hosting account? If you purchase an SSL certificate through Crucial, you will receive an email containing installation instructions after you complete checkout. You can also use the following handy guides from our knowledgebase which will step you through the process. How do I enable my SSL certificate on my website? Once you’ve determined that an SSL certificate is installed on your hosting account and ready to use, you will then need to make the appropriate changes to your website to ensure it is using the new https URL. The steps for doing this will differ depending on the sort of website you have. You may need to consult with your web developer on the appropriate steps for your website (while we’re always here to assist with your hosting services, we are unfortunately unable to provide specific web development/design advice such as this). If you’re happy to give it a go yourself, there are many useful guides online that can help (we’ve posted some below) – though we strongly recommend taking a full backup of your website prior to making any changes, just in case anything goes wrong! Yes, switching from http to https can have an effect on your Google ranking if not managed correctly, as your website address will essentially be changing from starting with http://, to starting with https://, thus giving your website a brand new address as far as Google is concerned. If your website is ranking for a particular keyword or keywords that you wish to protect, we’d recommend first researching the necessary precautions (to ensure that you don’t harm your Google rank during the switch), or reaching out to a reputable web developer/SEO consultant for assistance. If you wish to seek further assistance or need some questions answered, feel free to call our sales team on 1300 884 839 (and press 1) or shoot them an email at sales@crucial.com.au. do you offer lets encrypt? it is a free SSL CA. Instead of paying $99/year…. Hi. Yes they do provide it. Free of charge too. You need to get an admin to enable the module for you though. It did not work at the first go although they promptly fixed it. Works like a charm.